Our pets become as much a member of the family as any member of the household. We provide them with their needs, train them to ensure proper behavior, and sometimes, we just spoil them rotten. However, simply keeping a close watch on your furry pal is not enough. Don’t overlook the importance of booking a regular appointment with a veterinarian. If we, humans, benefit from annual health checkups, so do our pets! What is a Pet Checkup? Much like a human checkup, the vet will ask you some questions regarding your pet’s dietary habits, exercise levels, and lifestyle. 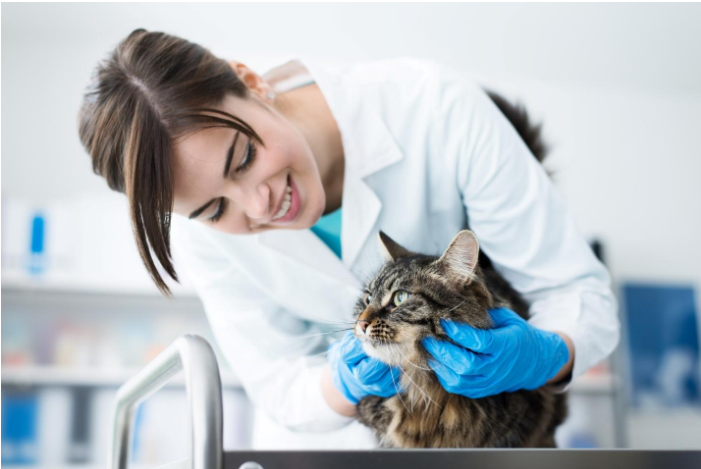 The vet will also perform a physical examination to evaluate your pet’s dental health, digestion, mobility, and mental performance among others. If everything goes well, you and your pet should be in and out in no time. Otherwise, the vet will ask to perform further testing and make some suggestions based on his assessment. A pet checkup is also a good opportunity to keep your pet’s vaccinations up-to-date. Since you are paying for your visit, you might as well make most of your time. You can ask the vet for some wellness tips or bring up any question you have in mind. What Makes Pet Checkups Necessary? We all know that “an ounce of prevention is better than a pound of cure.” The goal behind a pet checkup is to prevent a medical condition or treat it before it progresses to an advanced stage. Pets, particularly dogs, are great actors and don’t usually show symptoms until it becomes intolerable. Equipped with knowledge and experience, vets can detect life-threating medical conditions early on. This saves you eye-watering treatments in the future and most of all, from a broken heart. Don’t postpone your appointment with the vet just because your pet seems happy and healthy today. Just like how a car demands regular inspections and gets its oil and tires changed, seeing the vet from time to time ensures your pet’s organs are running in optimum condition. By doing so, you are also putting your mind at ease. Using the wrong flea and tick products is common situation pet owners are caught in. Talk to your vet to avoid unwanted side effects and further expenditures. He will determine the best protocol for flea and tick prevention based on distinctive factors including your pet’s age, sensitivities, current medical condition, the type of environment you live in, whether you have kids who play with your pet, and so forth. Your vet will also add in protection against heartworms, hookworms, roundworms, and other intestinal parasites. The American Association of Veterinary Parasitologists, the Companion Animal Parasite Council, and the Centers for Disease Control and Prevention highly advise annual blood testing and deworming, as these parasites can cause serious problems in people. Your fat cat may look cute but if the vet says he is fat, then he is no matter how hard you try to convince yourself. While dog food companies may tell you what is best for your pet, the loving solution is to discuss your pet’s nutrition with your vet. He can formulate the most effective diet for your pet, be it for weight loss or weight gain. He may also recommend supplements when need be. Dental checkups help prevent halitosis, periodontal disease, and tooth loss so your pet can have a Hollywood smile that can easily tear off a delicious slice of beef! However, that doesn’t mean you should give up home dental care. Discuss with your vet the best home dental care solutions. Perhaps your vet knows where to get chicken-seasoned toothpaste! How Often Should You See Your Vet? How often you should see your vet depends on several factors, including your pet’s age, says Dr. Susan Barrett of Ohio State University College of Veterinary Medicine. For dogs, the breed of your pet also determines how quickly they age. Large breeds age faster than smaller dogs. Likewise, they are more active and for that, they are at a higher risk for physical injuries. Puppies and kittens grow at a rapid pace. Therefore, you should expect to visit the vet more frequently to ensure your fur-baby is progressing normally. At this stage, puppies and kittens will need shots to protect them from a range of serious, potentially fatal infections. At around six months, you may decide whether to spay or neuter your pet. Ideally, vets recommend annual checkups for healthy adult dogs and cats. During this stage, your vet will examine your pet over for unusual signs and recommend other tests based on his evaluation. You should see your vet more frequently as your pet gets older. Your dog or cat will receive vaccinations when needed and will undergo a thorough physical exam, along with blood and urine tests to give your vet the scoop on your pet’s thyroid hormone levels, kidney function, and liver health among others. A recent study commissioned by Bayer HealthCare LLC and Animal Health Division showed that the number of pets receiving veterinary care has sharply declined. Many pet owners share a mistaken idea that veterinary checkups are unnecessary, as long as you keep a close watch on your pet. Don’t drown yourself in guilt if you find yourself in the same footing but rather make the investment today! Your dog will thank you later with wet licks and cuddles and you will thank yourself later, too. Powered by cappuccino and a will of steel, Lara Baylosis has survived the writing industry for more than four years now. 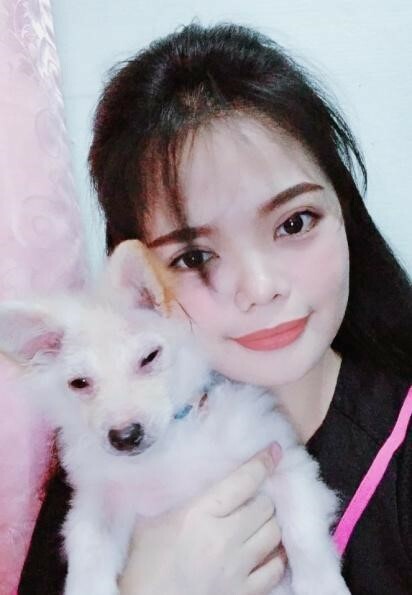 She is currently a contributing writer at Pet Comments and aside from writing articles, she occasionally shares stories whispered to her by her two dogs, Barky and Bungou.